An organic waste company in north Cornwall has gained five accreditations. 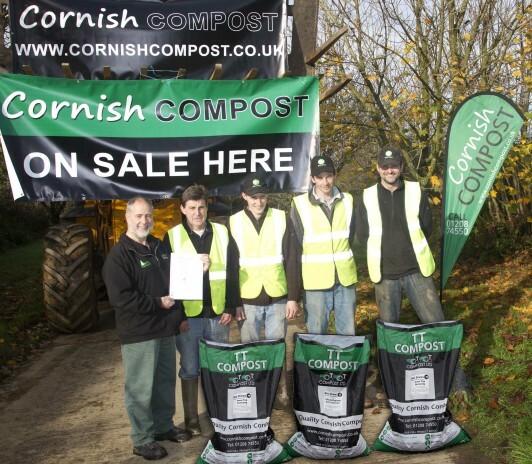 TT Compost, which is based in St Tudy, near Bodmin, has been awarded PAS100 accreditation. The company produces five grades of compost for different use and has achieved PAS100 for each one, the first compost company in Cornwall to have achieved such a feat. The specification covers the entire production process from raw materials and production methods, through to quality control and lab testing to ensure certified composts are quality assured, traceable, safe and reliable. As well as gaining PAS100 the company has also has moved into ‘e-compost’ with the launch of its new website. Lake added: “It’s great to have the website live as we’re looking to generate more sales online in 2012”.